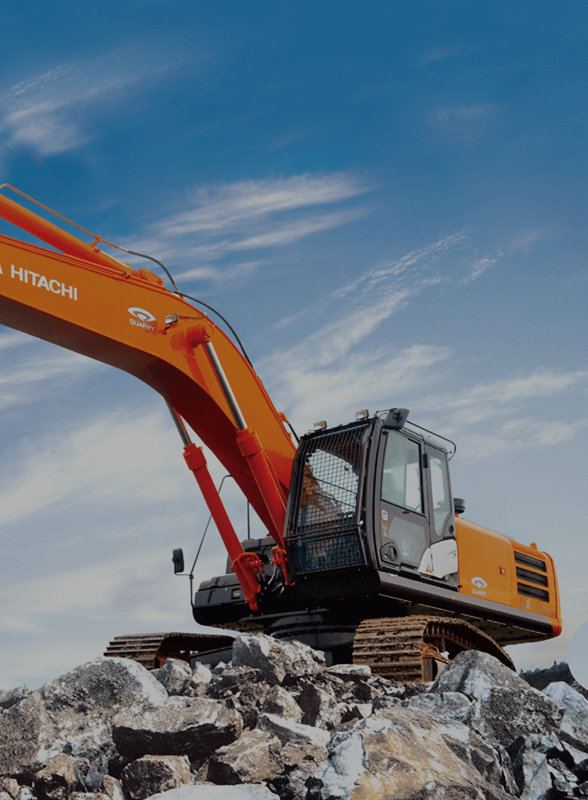 The ZAXIS370LCH GI Series excavator is designed and manufactured for working in granite, marble quarrying and other heavy duty applications. 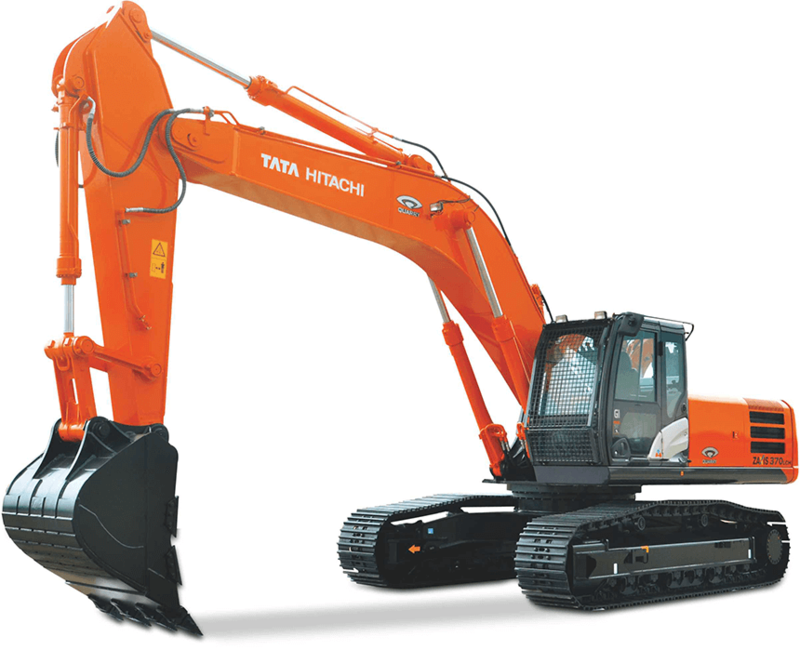 Retaining the ruggedness, a variant of the machine has been made for bulk excavation as well. The boom and arm are designed and analysed using advanced software. They are manufactured to perfection using state-of-the-art robots and computer controlled machines. The boom top and bottom are strengthened using high tensile steel. Steel plates of higher size and thickness are used in the arm to make it stronger and more durable. A reinforced resin thrust plate, mounted on the bucket pin, helps reduce wearing noise. Arm cylinder & boom cylinders (rod extend ends) cushion shocks at stroke end to cut noise and extend service life. Joint pins at the front attachment are tightly fit to reduce jerk and sound. Remote Fleet Management with Global e-Service. ConSite is a consolidated solution service that links you to your machines on the construction site. The engine features a rugged design, a direct fuel injection system and an elaborate governor make it more sustainable and help it comply with EU Stage II and US EPA Tier 2 emissions regulations. The cooling system, well keeps the engine cool. The engine cover has wider air suction area, and radiators are arranged in parallel for efficient cooling. Their parallel arrangement also facilitates cleaning. The ample capacity intercooler and turbocharger help yield a whopping 170 PS (125 KW) output for higher production in shorter job schedule. Parallel arrangement of ROC, dustproof indoor net, grouped remote inspection points, sloped side frame tops, long service intervals and electric fuel filling pump (optional) helps to simplify maintenance. The user-friendly suspension seat is fitted with a headrest and armrests for operative comfort. It can be adjusted in multiple ways, sliding and reclining, to suit operator’s size and preferences. The seat can slide rearward by 40 mm more for added leg space. The X-Beam frame is made monolithically with fewer welds for higher rigidity & durability.